2Agriculture is an independent milling business which has been supplying feed to the poultry industry for the past 50 years. The business operates four monogastric feed mills across the UK in Scotland, East Anglia, and North Wales manufacturing top quality feeds. The comprehensive feed range includes broiler, broiler breeder, layer, duck and turkey feed formulated using the highest quality raw materials. 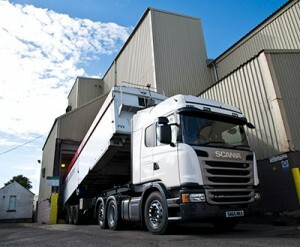 We also operate our own extrusion plant in Cambridgeshire, manufacturing a quality ingredient used in our poultry diets. Our technical team have extensive experience in poultry production and formulate diets to deliver results working in partnership with poultry farmers and managers to help meet the production targets for each crop. The sales team work closely with production units providing advice not only on nutrition for each crop at each stage but also shed design, ventilation, heating and lighting. 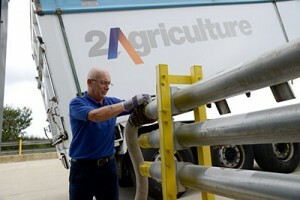 Service is at the heart of the team at 2Agriculture where over 250 employees work across the five sites. Our feed mills operate to the highest standards set for product quality, with a specialist production team monitoring output ensuring zero or minimal mill downtime. Our fleet of over 50 lorries operate 24/7 ensuring feed arrives on time and in full, with a real focus on bio-security prior to delivery, on-site and during departure. 2Agriculture aim to be the UK’s most efficient producer of consistent, high quality feed and to support our farming partners achieve best cost production. 2Agriculture have exciting plans for the future so keep in touch.